"During my stay in Kashmir in the year 1893 I often heard of the existence of a Ramayana in the Kashmirir language, but failed to obtain a copy of it. I ascertained, however, that the name of the author, Divakara Prakasa Bhatta, was well known, and that there was a tradition that he was alive during the eight years of the reign of the Hindu king, Sukhajivana Simha, who, according to Hariscandra's Kashmira Kusuma, came to the throne in 1786, and he lived in the Gojawar (Skt. Gulikavatika) Quarter of the City of Srinagar. So far as I could make out, in 1893 the poem could be found only in fragments, no entire copy of the epic being then known to exist. I accordingly employed Pandit (afterwards Mahamahopadhyaya) Mukunda Rama Sastru, who was assisting me in the preparation of my Kashmiri Dictionary, to endeavor to collect the fragments and from them to piece together as complete a copy of the whole as was possible. He was fortunate enough to procure several long sections and from them the text of the poem as given in the following pages has been compiled. This is the text to which references are made in the Kashmiri Dictionary, and it is offered merely as a valuable specimen of the language, and in no way as a critical edition." Here is: 'The Kashmiri Ramayana: Comprising the Sriramavataracarita and the Lavakusayuddhacarita of Divakara Prakasa Bhatta' compiled by George Abraham Grierson in 1930. 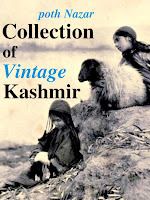 I came across it at Digital Library of India and converted it to pdf format for easy reading. Here is the download link. Sketches from Kashmiri Ramayan in Persian Script, 1940s, with some notes on the Kashmiri version of the epic . From when I had only heard about this book. 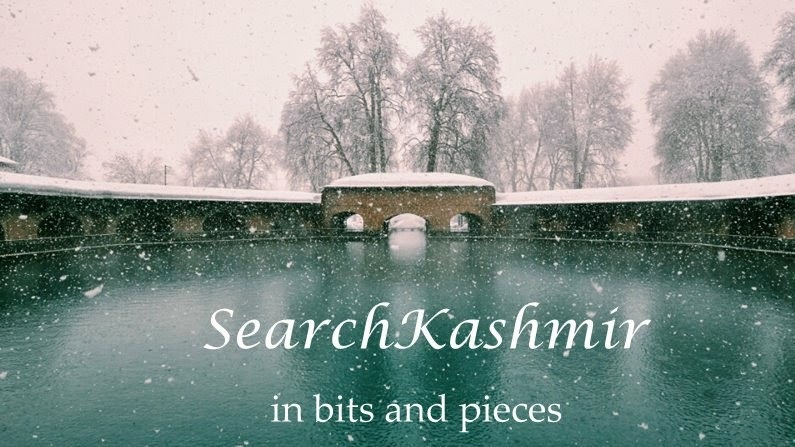 My Nani's song that led me to look for the Kashmiri Ramayanas. Sadly, the lines she sings do not appear in this book. But at least I now know where those lines probably fit in the epic. Last year I heard my nani sing following lines to herself. Now, will he roam around wearing Birch barks? Interestingly, above are drawing on Persian (makhamal: velvet, rah-i-jangal: forest-way) while in my Nani's version similar thought is conveyed using words pyeth'kaayan: Silken.